Waterloo – The Lazaridis Institute for the Management of Technology Enterprises at Wilfrid Laurier University announced it is now accepting applications for the second cohort of the Lazaridis ScaleUp Program. The program gives 10 Canadian scaleup technology companies the opportunity to fast-track their growth by working with experienced mentors and experts from around the world. The second cohort will begin in October 2017. The Lazaridis ScaleUp Program focuses on a specific national challenge: the need for more globally competitive technology companies in Canada, and the jobs and economic benefits that come with them. The companies that participated in the first year of the program benefited from 1:1 mentorship from executives with scaling experience who were specifically chosen for each participant based on their industry and current challenges. The program opens up market opportunities and prepares companies for their next round of financing. The upcoming 2017/2018 program includes one weekend module each month between October 2017 and February 2018. A final weeklong session will take place in March 2018. Applications for the next cohort of the Lazaridis ScaleUp Program will be open until June 30, 2017. The Lazaridis Institute is using Hockeystick for its applicant management process, as part of the first phase of the national scaleup data platform announced last month. 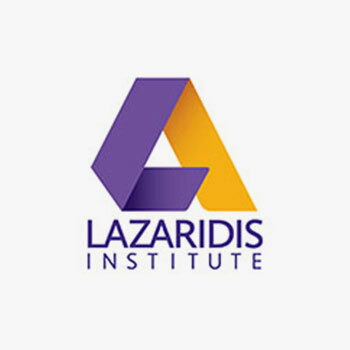 The Lazaridis Institute is holding a series of information sessions across Canada for potential applicants. A listing of events can be found at http://lazaridisinstitute.eventbrite.com. Find out more about the Lazaridis ScaleUp Program at www.scaleupprogram.ca. The Lazaridis Institute is focused on solving a specific national challenge – the need for more globally competitive technology companies in Canada. Its approach to this complex problem is three-fold: 1) Supporting Canadian technology companies in reaching their next level of growth, through world-class programs like the ScaleUp Program, through front-line training like the Tech Sales Apprenticeship program, and through a global network of business and technology experts who provide mentorship, connections, and valuable experience. 2) Conducting insightful research, always looking to develop new knowledge about innovation, management and disruption as it relates to technology companies. 3) As part of the Lazaridis School of Business & Economics at Wilfrid Laurier University, the Lazaridis Institute is creating direct links between international research, best practices in global scaling, and curriculum to empower students with the knowledge they need to make a difference in emerging companies after they graduate.